The Feasibility study is a study of possible alternate solutions to a problem and a recommendation on the best alternative. (Randall, B. et. al, 2010) It can decide whether a process be carried out by a new system more efficiently than the existing one. For example, if the employee are happy with the proposed system and find out no reason to change then there may be a high degree of resistance to the new system. Relevant factors here concern if the project has general management support and whether or not the users have been involved in the development of the proposal. The management feasibility study would determine the organizational chart and qualification of the people involved. It checks if the staff of the organization are capable of running and maintaining the designed system. John, J. 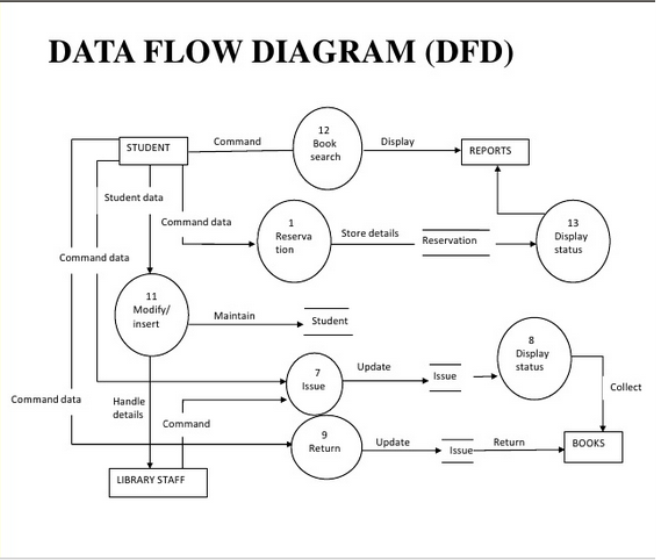 2014.System Analysis and Design-Feasibility Analysis. [online] Available at: http://www.learnsad.com/Feasibility.html [Accessed: 14 Oct 2013]. Newnorthafrica.com. 2014.Economic, legal, social, and technical feasibility study | NEWNORTHAFRICA. [online] Available at: http://www.newnorthafrica.com/feasibility/ [Accessed: 13 Oct 2013]. SHARMA, A. 2014.Economic Feasibility ~ All Computer Topics. [online] Available at: http://allcomputertopics.blogspot.com/2013/02/economic-feasibility.html [Accessed: 2 Apr 2013]. Technology.blurtit.com. 2014.What is purpose of scheduling? – Blurtit. [online] Available at: http://technology.blurtit.com/3251022/what-is-purpose-of-scheduling [Accessed: 3 Oct 2013]. Wells, A. 2014.What Is An Operational Feasibility Study? – Blurtit. [online] Available at: http://business.blurtit.com/855874/what-is-an-operational-feasibility-study [Accessed: 2 Sep 2013]. Assess the impact of different feasibility criteria on a system investigation. The technical aspect explores—if the project feasibility is within the limits of current technology available within the organization and does the technology exist at all, or is available within given resource constraints (i.e., total cost and time constraint of the project). In the technical feasibility of the Himalayan Library the various requirements of the organization, such as, (I) various input device required to run the project (II) Output devices required to produce the output (III) The availability of processing devices in the organization. This analysis helps in the future to run the program to achieve the full advantages. Assuming that technology required is applicable, is it available in the current market. If the technology is already available in the organization, does it support to handle the solution? In case the technology is not available in, can it be acquired? Payback Period (PP) time required to generate sufficient cash flow to recover its initial cost. Assessing this feasibility is to gain an understanding of if the proposed system will likely to solve the business problems, or take benefit of the opportunities or not. It is important to understand how the new system will fit into the current day to day processes of the organization. 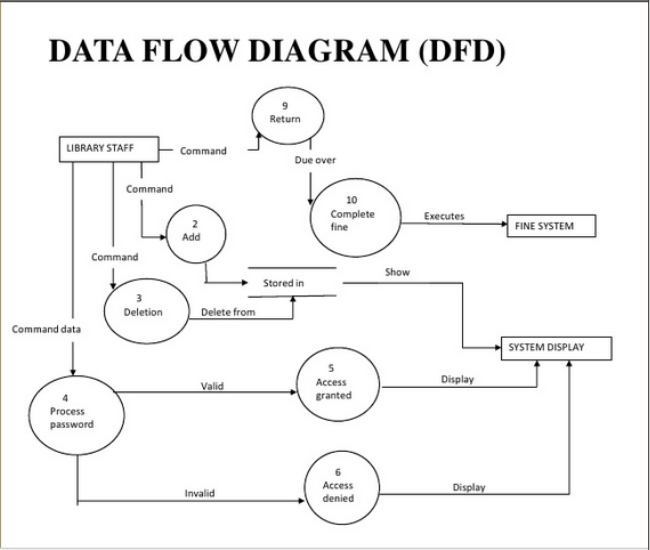 By analyzing this aspect we could find out if the staff present in the organization are able to run the given system. Then they would be able to make the decision to hire new technical staff or to give the trainings to the staff. It takes in consideration whether the current work practices and procedures support a new system and social factors of how the organizational changes will affect the working lives of those affected by the system. This feasibility also has the major role in the development process. It determines if there are any restriction of the law in the process of development of the proposed software. If any permission is to be taken in order to develop the system then we could find out in this phase. After implementation does the organization have qualified manpower to run the program? Do we have to give additional trainings? These are the main aspect that come under this feasibility study. It helps to identify the capabilities of the employee. Beside that the main aspect it deals with is does the software helps in managing the daily activities of the organization. The study makes the evaluation of the total cost required for funding the project. 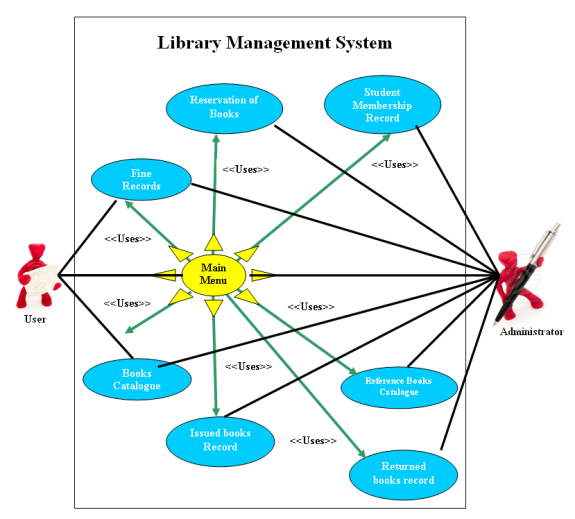 Library Management system for the Himalayan Library is the computerized system which helps the librarian or the user to maintain the daily activities in the systematic order. It reduces the risk of paper work that includes loss of file, damage of file, consuming of time, difficult to search the required data etc. But by the implementation of library management system the user would be able to manage the record more efficiently and time –saving. As a lack of computerized system there is a high chance for the file to be lost. It may be due to sometimes the librarian forget to keep the file to the original place due to lot of member queue for borrowing the book or sometimes he might forget the original place. The other problem is the damaged of the file. This might be because of some accident like the librarian hitting the cup of tea on the paper. This might cause due to other potential aspects like animals. Rat or some insects may damage the file/records. It becomes very difficult to search for the specific record in very less time. A lot of manual task has to be done to search for the user record while lending the book. As the day passes the records of the libray are getting more and more. And practically it becomes difficult to manage and keep those record safe. Hence, managing the physical records become space consuming. Reports to be created in the manual system is too time consuming. It requires the librarian to go through various files in order to produce one report. 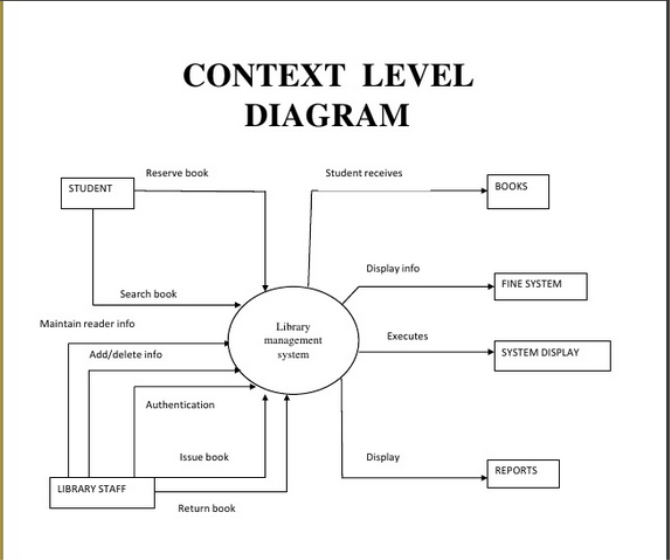 The Himalayan Library management system is developed to overcome the various problem that the library has been facing. The system must be capable of validating the user, storing record and generating reports. As before the Himalayan library has been hiring about 5 employee, but after implementation of the Library management system the library could be handle with 2members saving the cost of 3 other employee. Beside that it saves the cost of lots of paper. Librarian is able to search for the books or generate various reports within the certain clicks, compared to the manual system it saves a lot of time. As all the information are saved in the centralized machine and are being backed up regularly, there is a minimum chance of the data being lost. As a junior system analyst, it was the responsibility to check the functioning of library. So, on the visit to the library for two days we observed librarian issuing and returning books as well as other functioning of the library. We also inspected the place where the cards are stored and from that it was seen that it was a real mess. To see if a particular book is already issued, it is a difficult and effort intensive process. The analyst also saw the records for books, members, and accounts. From site visit we had a good understanding of the functioning of the system. After this, we performed some personal interviews of library staff and few members. The interview is show below. Beside the on-site observation interview with some selected stake holders were performed as the part of the requirement gathering. In this process we conducted structured interview with administrator, 2 librarian and some users about their expectation of the library management system. "Feasibility Study." UKEssays.com. 11 2018. All Answers Ltd. 04 2019 <https://www.ukessays.com/essays/data-analysis/feasibility-study.php?vref=1>. "Feasibility Study." All Answers Ltd. ukessays.com, November 2018. Web. 18 April 2019. <https://www.ukessays.com/essays/data-analysis/feasibility-study.php?vref=1>. UKEssays. November 2018. Feasibility Study. [online]. Available from: https://www.ukessays.com/essays/data-analysis/feasibility-study.php?vref=1 [Accessed 18 April 2019]. UKEssays. Feasibility Study [Internet]. November 2018. [Accessed 18 April 2019]; Available from: https://www.ukessays.com/essays/data-analysis/feasibility-study.php?vref=1.